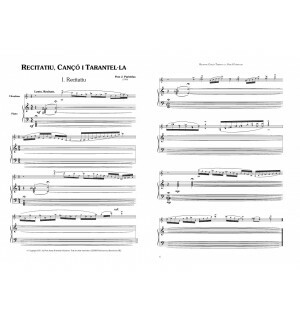 Recitatiu (Introducció), Cançó i Tarantel·la (Recital (Introduction), Song and Tarantella) for vibraphone and piano is a work that allows the performers to shine, with a first time, Introducció, dedicated to the virtuosity of the vibraphone to highlight the quality of its sound. My relationship with percussionist Xavier Joaquín began back in 1976 when the two of us were members of the OBC and the Catalan Instrumental Group (GIC). A strong friendship grew between us and we collaborated closely in many aspects, both musical and educational. I wrote this work for his duet with pianist Jordi Vilaprinyó. The second time, the Cançó, is actually a song that was written earlier for a mezzo-soprano and piano in relation to an unpublished poem by Enrique Molina Campos, “Nocturno redivivo”. He wrote it one night on some lined paper I had on the table, and I put it to music with the same pleasure and excitement with which the poet wrote it. 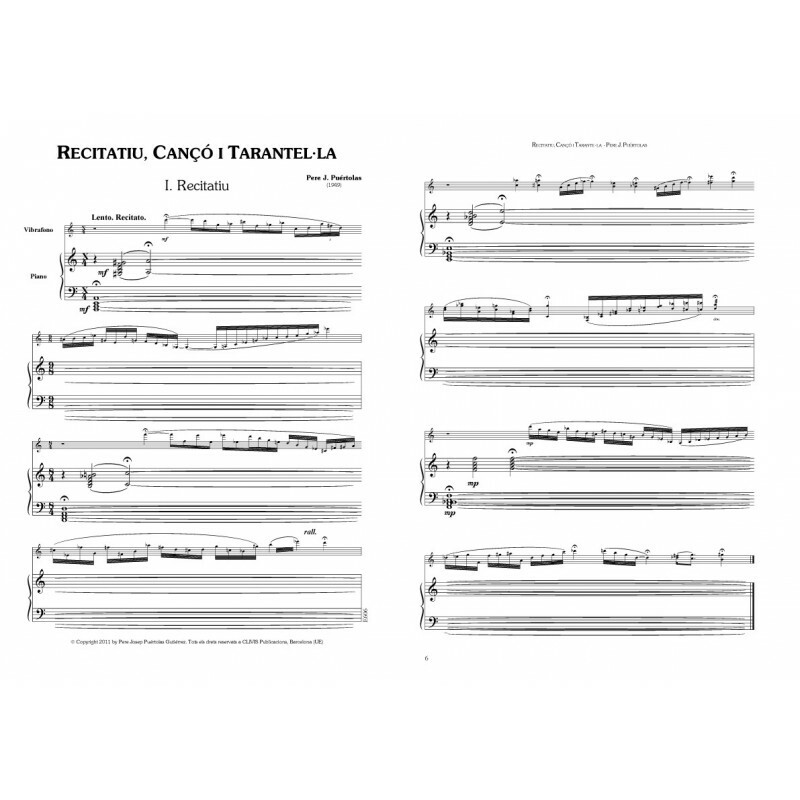 The third movement is a dance, the Tarantella, which coordinates the music of the two players equally, the themes passing from one to the other and playing with the insistent rhythm of the dance. Essentially this is a very intimate work that is highly charged with friendship, admiration and respect.